What really drives your employees to show up every morning? Brad works in software development. He’s offered a $50,000 innovation bonus to come up with a new product. But with so many other deadlines to meet, he fails to come up with a solution and forfeits his bonus. Let’s look at what really motivates Brad, and the rest of us. Broadly speaking there are two types of motivation - extrinsic and intrinsic. Extrinsic motivation (EM) occurs when we are offered a reward to produce certain results, or on the other hand, when we try and avoid a punishment by under performing. Remember being told by your parents that if you were good then you could have candy? Our modern day working world has developed around this notion of EM, that it leads and guides our behaviors to produce the results that companies want. And it did a fantastic job. Look around, many companies and their profits were a result of EM. The success of EM has led us wide-eyed into a new world and, with it, a new way of doing business. We’ve moved on from manufacturing lines and huge factory operations into app development, social media marketing and website production. Offering an employee double pay for packing 100 items into a box rather than 80 in a week can work. But let’s go back to Brad, offer him an innovation bonus to come up with a new idea and the results are less straight forward. In fact, it could actually have a negative impact. With the new world of business comes a need for creative thinking, and excelling at this comes from a different type of motivation. One that encompasses something the old business world did not account for - creativity. This is intrinsic motivation (IM). IM comes from inside us and not from any external rewards such as bonuses or commission payouts. As an experiment, I spoke to some employees in our office and asked them what motivates them at work. Not one person answered anything to do with money or external reward. Instead it was “I want to prove I can do it”, “to continually push myself” and “so I can say I am proud of my work”. In Dan Pink’s book, Drive; The Surprising Truth About What Motivates Us, he discusses this notion of intrinsic vs. extrinsic motivation. He talks about how offering a monetary award for creative, non-routine work is detrimental to motivation, and as a result, detrimental to the success of a business. There are steps you can take to help IM flourish and the first is to understand what motivates us in this way and provide a working environment to promote that. There’s three key areas; autonomy, ownership and purpose. Autonomy is the power to direct your own path. It’s important to provide your employees with freedom. 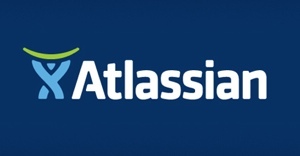 Google and Atlassian, both highly innovative and successful companies, give their employees free time, whilst in their day to day jobs to work on any project they want. Google states it has produced some of their best known products from this initiative, including google maps. You can do this by avoiding micromanagement and allowing employees full freedom over aspects of their role; such as what to work on, when to work on it and who to work on it with. Mastery is getting better at doing something that matters to you. 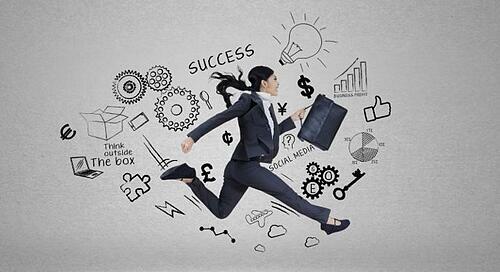 A sense of progress both at work and in our personal lives contributes to our intrinsic motivation. You can help promote this by ensuring an employee’s tasks are well matched to their abilities; regular one-to-ones can help monitor this. The tasks should not be too hard nor too easy but give the employee room to achieve self-development and form the resolution to reach higher. Purpose is key to IM. It’s about having an employee feel part of something bigger; having a purpose that transcends them. Open communication is key, make sure they know what their work means to the business. Don’t be shy of painting the bigger picture and linking back to your ‘why’ regularly. Remove employees from the quarterly targets and connect them to what matters. At Reward Gateway, we’ve started touring the globe to record video clips of our clients' employees talking about SmartHub™ and how it benefits them personally. We play these clips at our company wide meetings, so everyone from the Helpdesk team to our internal IT support knows why we do what we do, and the impact of our mission. IM comes from personal growth. Give your employees breathing space from the day to day and number crunching. It is different to what we know but the results speak for themselves. With more motivated, happy and engaged employees, the proof will be in your retention and profits.